There are many ways you can contact Children's Healthcare of Atlanta. Whether you're looking for a phone number for one of our locations, or information on how to become a volunteer, we want to connect you with the right member of our team. Use the following links to connect with the appropriate department or team member. For all other questions or concerns, complete the form below. The Children’s Healthcare of Atlanta 404-785-KIDS line provides easy access to all of our services—it’s the only number you need to remember to reach us. Whether you need to find a doctor, reach a Children’s physician or staff member, call a hospital room or reach any other service Children’s offers, we’ve made it even simpler to contact us. Upon calling you will always receive timely, friendly and responsive assistance 24 hours per day seven days per week. This number provides access to all things Children’s. It’s the only number you need, our specially trained staff will assist you in reaching the appropriate contact within our system. 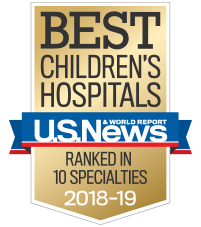 If you are trying to reach a physician or practice who is not employed by Children’s, we will do our best to provide you with the contact information you need. Once you’ve selected an option on the 785-KIDS call tree, you will always reach a live representative. All of our customer service representatives have received comprehensive customer service training and will either answer your question or route your call to the proper Children’s resource. We will make every effort to connect you to a live person; however, if there is not an answer, it may be necessary to connect you to your contact’s voicemail so that the call can be returned at a later time.